gocupi – Go + Raspberry Pi polargraph #piday #raspberrypi @Raspberry_Pi « Adafruit Industries – Makers, hackers, artists, designers and engineers! 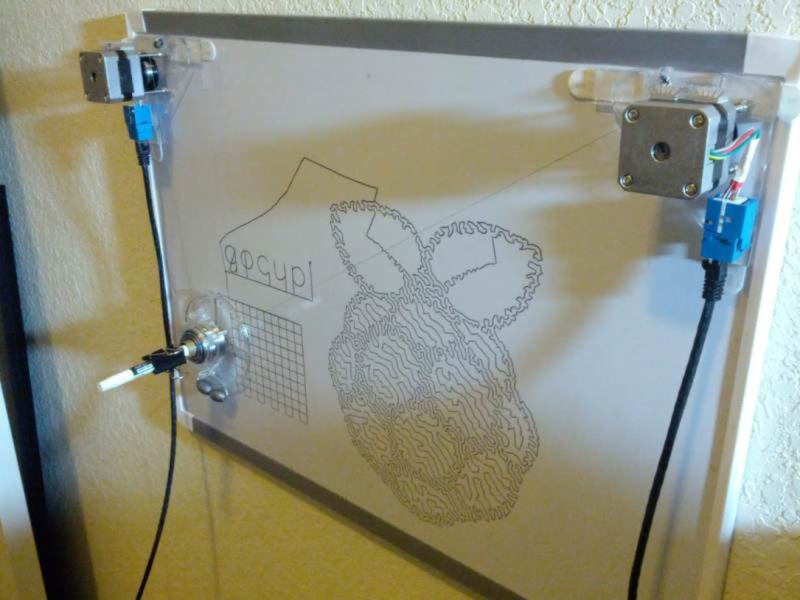 I have always been a huge fan of pen-plotters, drawbots, and polargraphs — here’s a great plotter project built around Go + Raspberry Pi + Arduino that I can’t wait to try: Gocupi. A Polargraph / drawbot inspired project, using a Raspberry Pi + Go + Arduino. Made with the help and laser cutter of the Dallas Makerspace. 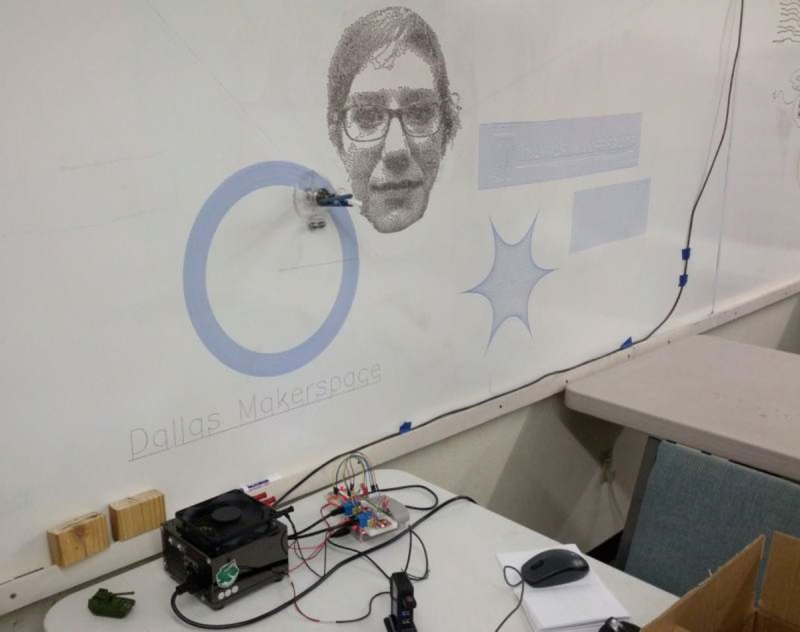 Basic polargraph description: Two stepper motors move a pen hanging from threads to draw stuff out on a whiteboard. A program written in Go runs on the Pi, it sends movement commands over serial to an arduino, which then pulses the step pin on the stepper drivers to make the stepper motors move. This project is different from most other Polargraphs in that there is no step generation code on the arduino, everything is calculated in Go and then the arduino just receives a stream of step deltas that it stores in a memory buffer and then executes. Since all logic is written in Go running on the Pi it allows using more advanced interpolation models for smooth drawing, not needing to use fixed point or single precision floats for calculations, not needing to reflash the arduino often when making code changes, etc.